A couple weekends ago (where does the time go?) a friend of mine needed a pinch hitter docent for the Williamson County Tour of Homes. It was the 38th annual event, so I took advantage of earning my free ticket to tour some of the houses before my turn as a guide. The ca. 1849 Pleasant View Farm—better known locally as Gentry Farm—in the countryside on Highway 96 West has been in the same family since 1849. The farm encompasses nearly 400 acres, and is listed on the National Register of Historic Places. The early 1800s Gentry’s Farm Log Cabin, the historic property moved from an area near Goodlettsville, Tenn., 25 years ago; each log was numbered and reconstructed exactly as found. The structure was originally built nearly 200 years ago and is a double-pen, one-and-half-story log home with a dogtrot typical to early Middle Tennessee log homes. A ca. 1910 Southern Colonial Revival home on 2nd Avenue South, today home to company Outdoor Classic Structures, a design-build firm with a studio that focuses on non-climatized areas and outdoor construction. 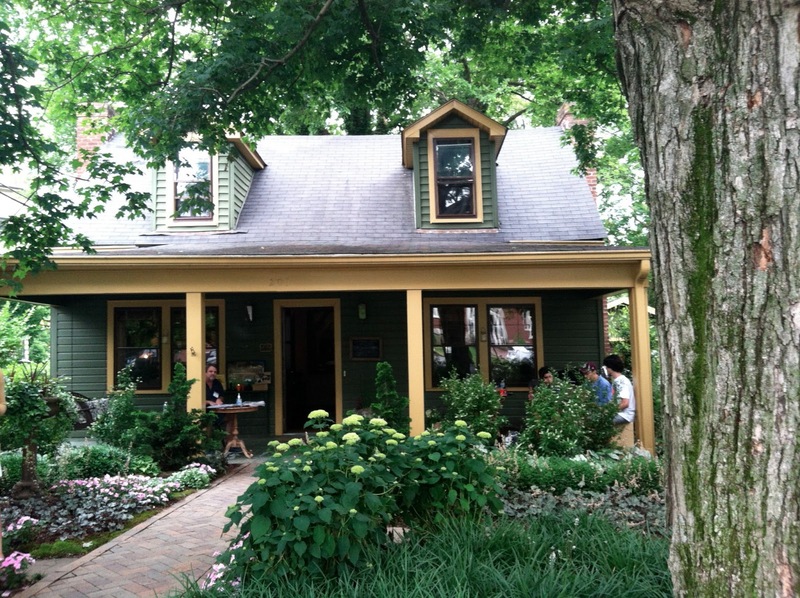 The quaint corner cottage features stunning gardens surrounding this tiny treasure and is a contributing property to downtown Franklin’s National Register District. Ty’s House, the unique Second Empire-style residential structure on Mt. Hope Street, was recently renovated to preserve the ca. 1905 home. The Mount Hope Perpetual Care Association (the adjacent cemetery’s non-profit organization) and Hard Bargain Association (HBA) took great care to save the fish-scale gable detailing and extensively rehabilitated the property, which now serves as a community center and office for HBA. In Westhaven (a new construction neighborhood), one of a few houses open was a Victorian Italianate-style home on Stonewater Boulevard. This popular version of Victorian-era architecture is also seen throughout the Historic Downtown Franklin commercial district. 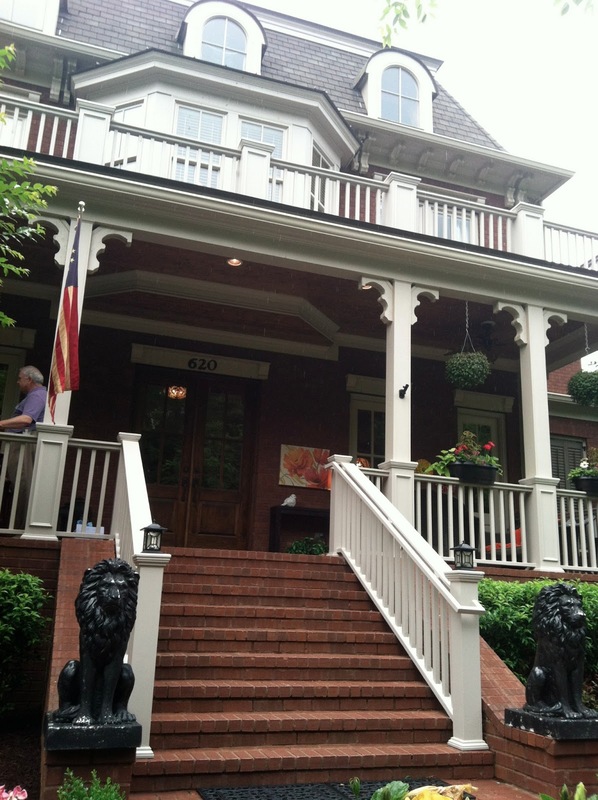 These homes are not usually open to the public, so this was a great way to get to know more neighborhoods in Franklin, plus indulge in my love of great architecture!